The UE 7 PRO is the industry standard. Its powerful output is trusted the world over. 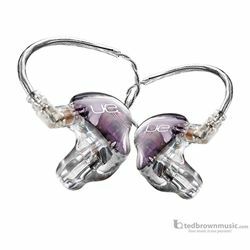 The UE 7 PRO been proven and refined on stages throughout the world for over 10 years. The sound signature is big and bold—full of growl, crispness, depth and clarity with additional midrange details that guitarists and vocalists need. The 3 balanced armatures are tuned for guitarists, keyboardists and vocalists who need a powerful in-ear monitor. The integrated 2-way crossover helps add clarity to the mids. Internal speaker configuration: 3 proprietary balanced armatures with an integrated 2-way crossover network.